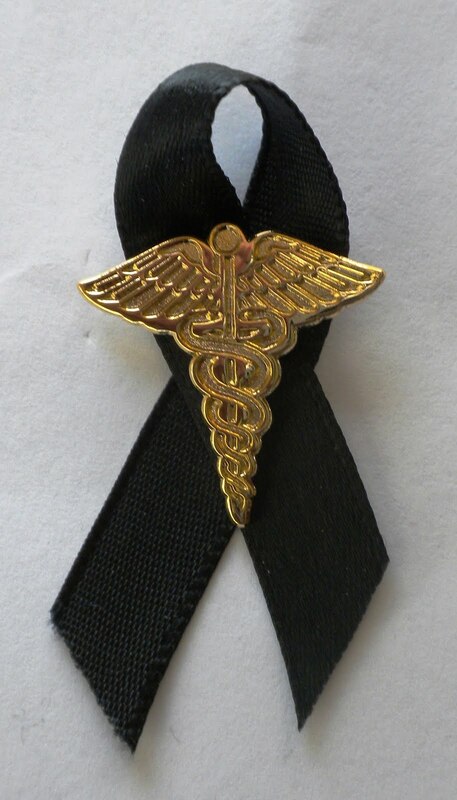 I would be interested a bumper sticker w/o words, just the image of the black ribbon and caduceus on a clear background. I have one square 5×5 window decal which has the ribbon on a grey background with TheBlackRibbonProject.org in small letters at the bottom. (Same image as to the left here) If you email BlackRibbonProject@gmail.com, I can email you the proof to see if you would like it. I sent your and the docs4patientcare.org sites to my congressman – Paul Gosar – new representative in the US House. Hope you hear from him if he is not already involved.